A fleet of stocked vehicles and experienced residential electricians are available 24/7. In order to be as efficient as possible we carry many of the parts that will be needed for your job on each truck. We strive to keep our operations running efficiently so we can provide competitive pricing to our customers. Ensuring your safety is our #1 priority. 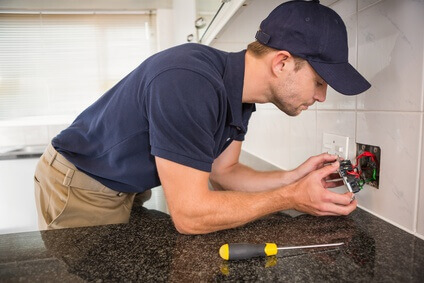 Our residential electricians will meet or exceed local code standards GUARANTEED. We are able to perform your large and small residential or commercial electrical services with a fine level of detail and efficiency. An estimator will come to your home and give you an estimate free of charge.